and you can get the pattern here was inspired by baking and one of my all time favorite recipes for cake: Carrot Cake! But back to today’s topic: Like in the saying, pie is easy, and so is piecrust. Or at least it is supposed to be that way. Depending on the desired end result, I do have several go to recipes I use over and over. This particular one is based on a Swiss Recipe for ‘Mürbeteig’ usually a crust that is a bit crumbly and often used for sweet baked goods, although if you leave the sugar out of the crust, it works fantastically for cheese tarts and things like quiche. The crust is great in that it is a bit less delicate once baked than some of the other crusts that can get soft and soggy quickly. With this one, I have frozen whole pies, made with juicy berries and the crust was still great after they made their way back onto the table! Quickly chop the butter into 1/2″ cubes, place back in the fridge until ready. Using a cold bowl or working right on the counter, measure out the flour, then add everything besides the water and butter. Mix until combined. Add the cold butter cubes to the flour mixture and using a pastry cutter or two knifes, cut the butter into the flour until only small crumbles remain. Add the water by the table spoons, using the pastry cutter in between each addition to mix in well. Add water until a dough forms that is only slightly crumbly and can be formed into a ball fairly easily. Roll out to a 1/8″ thickness (you want this crust to be a tad thicker than flaky pie crust) or place in the fridge until ready to use. Makes enough for one standard 9″- 91/2″ pie crust or two smaller 6″ pies. 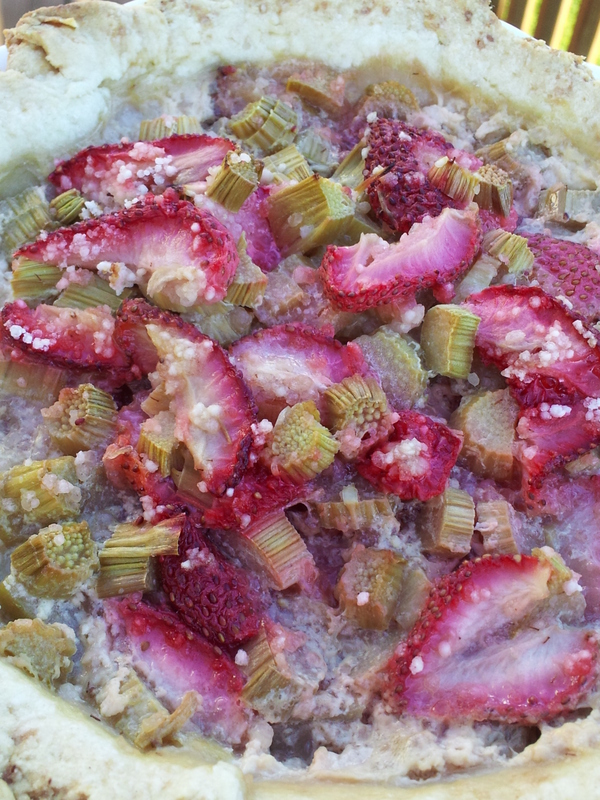 In the pictures I made a Rhubarb-Strawberry Pie. Not really with any recipe, just with what was on hand: Strawberries from the garden sliced, Rhubarb from the garden, sliced, I added a tablespoon tapioca to soak up the juices and made a ‘Guss’ (sort of a custardy/glaze thing) by using 1 egg, 1 1/2 cups milk, 2 tbsp sugar, 1 tsp cornstarch or vanilla pudding powder (the cooking kind, NOT instant) whisk it all up good and pour over the filling in the crust. Voilà! Copyright © 2013 Simple Healthy Homemade. All rights reserved. 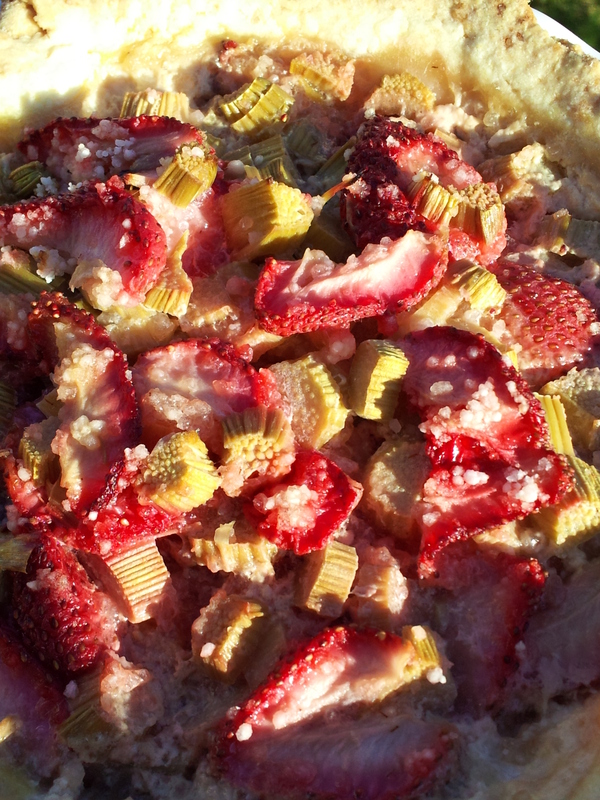 This entry was posted in baked goodness, corn free, frugal, low sugar, quick & easy and tagged Pie crust piecrust Murbeteig crumbly strawberry rhubarb. Bookmark the permalink. HI Simone! 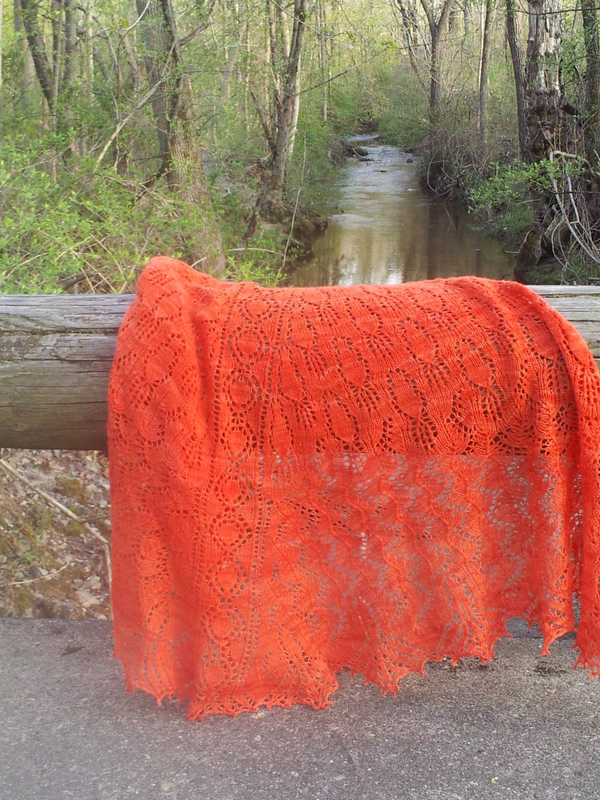 Your carrot cake lace pattern is beautiful! Do you sell any of your beautiful knitted goodies on Etsy?